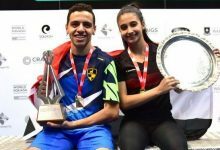 Amr Khaled Khalifa outlasted fellow countryman Ali Farag in the final of the Men’s World Junior Squash Championship on an all-glass court at El Condado Shopping Mall in the Ecuador capital Quito to become the third successive Egyptian winner of the World Squash Federation event in its 17th year. 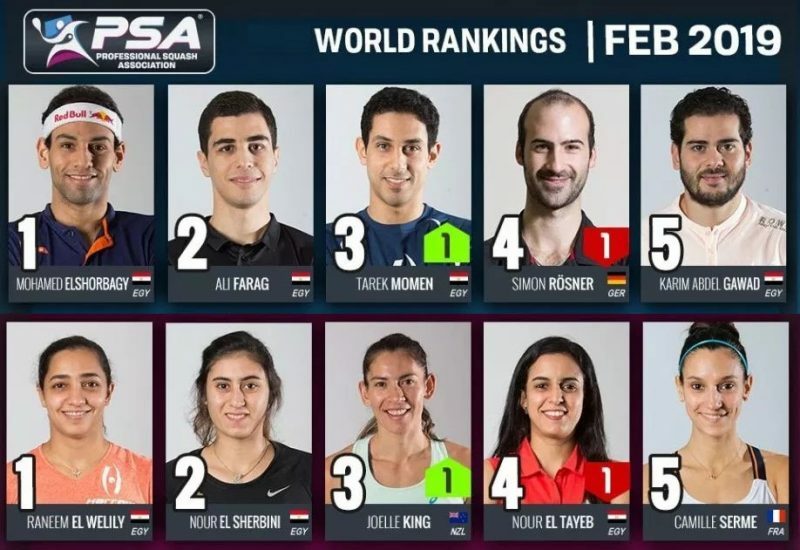 While Farag, the 18-year-old second seed, reached the final without dropping a game, favourite Khalifa was taken the full distance in the semi-finals for the first time by compatriot Marwan El Shorbagy, a 9/16 seed. 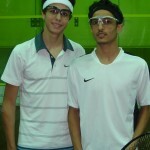 And it was underdog Farag who claimed the initial advantage, winning the first game 11-8. 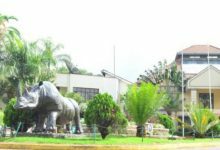 But in the battle between the two teenagers from Cairo, 17-year-old Khalifa began to exert his authority on the opponent whom he had last beaten on the international stage in the quarter-finals of the British Junior U15 Open more than three years ago. Favourite Khalifa took the second game by a two-point margin, then survived a tie-break third before confirming his advantage in the fourth to claim his title-winning 8-11, 11-9, 12-10, 11-7 in exactly one hour. 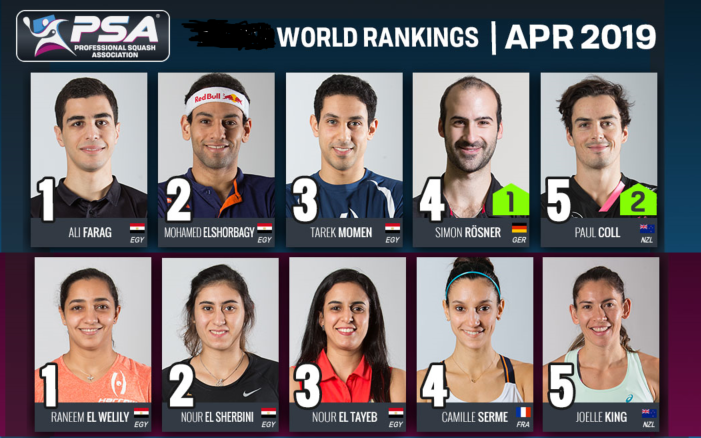 Khalifa extends Egypt’s grip on the title to six years after Ramy Ashour, the current world No2, won the trophy in 2004 & 2006, and Mohamed El Shorbagy, now ranked 13, in 2008 & 2009. 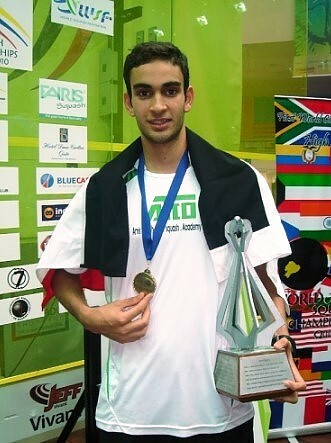 And the country secured a clean sweep of the 2010 medals when Marwan El Shorbagy beat Pakistan’s Farhan Zaman, also a 9/16 seed, 15-17, 11-6, 12-10, 14-12 in the bronze medal play-off. 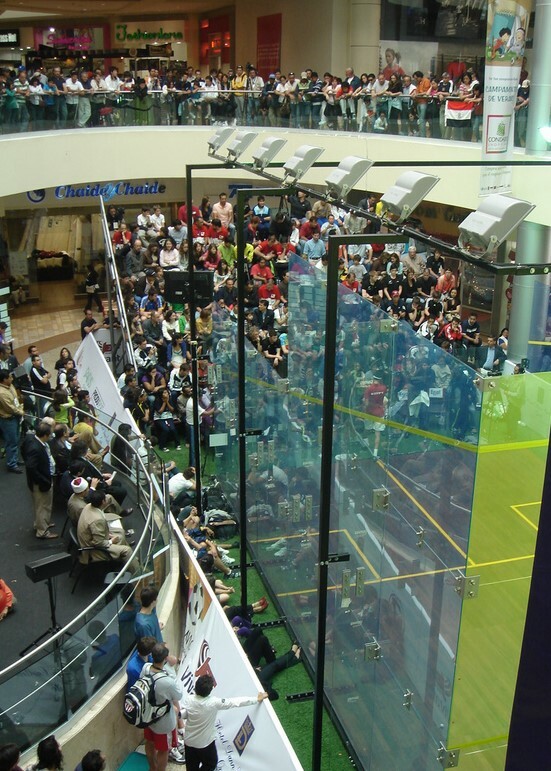 Amr Khaled Khalifa and Ali Farag will contest an all-Egyptian Men’s World Junior Squash Championship final – but the top two seeds from Cairo survived their semi-finals of the World Squash Federation event in contrasting styles on the all-glass court at El Condado Shopping Mall in the Ecuador capital Quito. Favourite Amr Khaled Khalifa had not dropped game in four rounds leading to the semis. 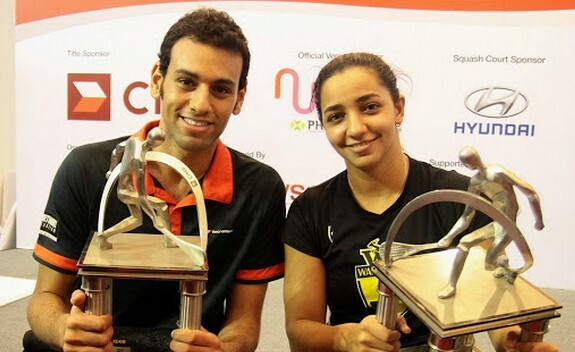 But the 17-year-old was taken the full distance by unheralded compatriot Marwan El Shorbagy, the 9/16 seed from Alexandria who was hoping to keep the trophy in the family after his older brother Mohamed El Shorbagy won it for the last two years. Khalifa took the opening two games, but 17-year-old El Shorbagy clinched a tie-break third game before going on to win the fourth to draw level. But after 74 minutes it was top seed Khalifa who prevailed, winning 11-6, 11-1, 11-13, 9-11, 11-4 to make the final at his third attempt since 2008. Second seed Ali Farag had an altogether easier ride in his bid to reach the climax in his maiden attempt. Yet to drop a game in Quito, Farag despatched Pakistan’s 9/16 seed Farhan Zaman 11-2, 11-4, 11-8 in just 23 minutes to ensure that the men’s world junior championship trophy will remain in Egyptian hands for the fifth time since 2004. Egypt’s bid to become the first country for 20 years to claim all four semi-final berths in the Men’s World Junior Squash Championship was halted by Farhan Zaman when the 9/16 seed from Pakistan beat giant-killer Mohamed El Sherbini in four games in the quarter-finals of the World Squash Federation event at the El Condado Shopping Mall in the Ecuador capital Quito. It was a determined performance by the 17-year-old from Peshawar who had upset Mexico’s No7 seed Miled Zarazua to reach the last eight. Celebrating his third appearance in the championship, Zaman battled for four games to overcome El Sherbini, 17, from Alexandria, 12-10, 11-9, 8-11, 11-7. 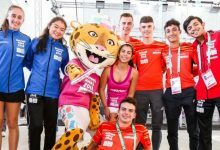 El Sherbini, a cousin of 14-year-old former women’s world junior champion Nour El Sherbini, was only seeded to reach the last 32 – but made his breakthrough in the championship after upsetting France’s third seed Lucas Serme in the third round. Zaman now faces a Cairo-based Egyptian Ali Farag for a place in the final. Second seed Farag ended English interest in the event by beating eighth seed Charles Sharpes 11-8, 11-7, 11-4. 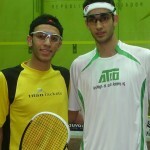 The other semi-final will be an all-Egyptian affair between favourite Amr Khaled Khalifa and outsider Marwan El Shorbagy. 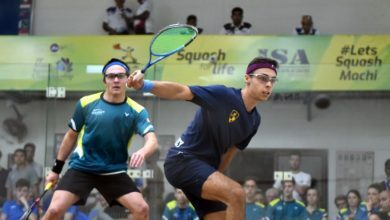 Khalifa, the 17-year-old world No94 from Cairo, brushed aside sixth-seeded Indian Aditya Jagtap 11-5, 11-2, 11-2, while El Shorbagy, a 9/16 seed, continued his unscheduled march through the event by despatching fellow countryman Ali Ashraf El Karargy 11-6, 11-6, 11-7. El Shorbagy, 17, from Alexandria, is only two rounds away from creating championship history by becoming the first brother of a former champion to win the title. 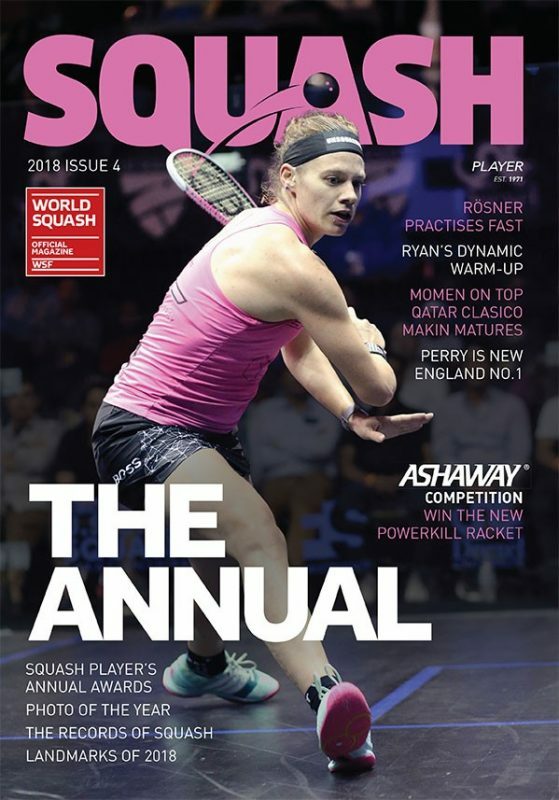 His illustrious older sibling Mohamed El Shorbagy, now ranked 13 in the world, is the reigning champion after last year becoming only the second player in history to win the title a second time. 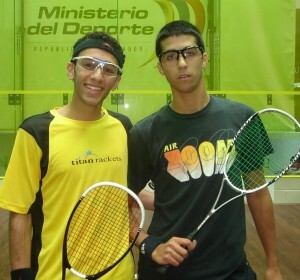 There will be Egyptian interest in all four quarter-finals of the Men’s World Junior Squash Championship in Ecuadorafter a trio of unheralded players from the country claimed unexpected victories in the fourth round of the World Squash Federation event at Quito Tenis Y Golf Club and the El Condado Shopping Mall in the country’s capital Quito. 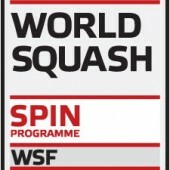 In a battle between two relatives of successful girls on the WISPA World Tour, 17-year-old Mohamed El Sherbini (cousin of 2009 women’s world junior champion Nour El Sherbini) made his breakthrough in the day’s earlier third round when he fought back from two games down to upset France’s third seed Lucas Serme (younger brother of world No10Camille Serme) 6-11, 9-11, 11-6, 11-8, 11-8. The 17/32 seed from Alexandria went on to defeat India’s 9/16 seed Ravi Dixit, the reigning Asian Junior Champion, 11-1, 11-8, 12-10. 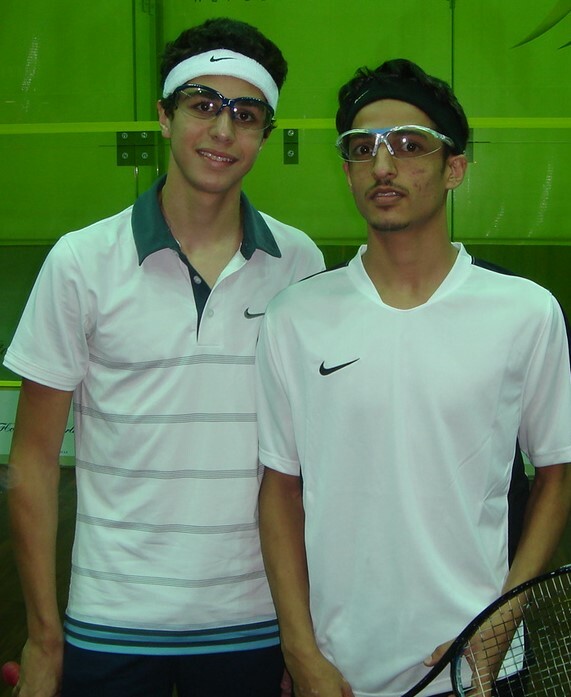 Younger brother of two-time and reigning world junior champion Mohamed El Shorbagy, 9/16 seed Marwan crushed fourth-seeded German Rudi Rohrmuller 11-5, 11-2, 11-5 – and will celebrate his 17th birthday taking on fellow countryman El Karargy for a place in the semi-finals. 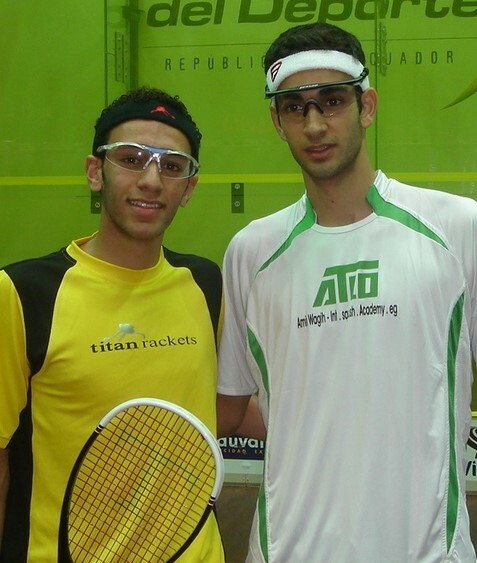 Pakistan will also provide unexpected quarter-final interest when Farhan Zaman takes on Mohamed El Sherbini. The 9/16 seed from Peshawar made his breakthrough in the last sixteen round when he upset seventh-seeded Mexican Miled Zarazua 11-3, 11-6, 11-9. India’s last remaining survivor Aditya Jagtap duly took his place in the last eight following an 11-6, 6-11, 11-6, 11-8 victory over England’s James Earles. The sixth seed from Mumbai will now face Egypt’s event favourite Amr Khaled Khalifa who despatched Australia’s Jacob Alexander 11-2, 11-0, 11-5. Second-seeded Egyptian Ali Farag will take on England’s lone survivor Charles Sharpes. Farag, 18, from Cairo, defeated Pakistan’s Waqas Mehboob 11-2, 11-4, 11-5, while Sharpes, the No8 seed from Surrey, took four games to overcome Egypt’s Zahed Mohamed 11-8, 6-11, 11-7, 11-4. 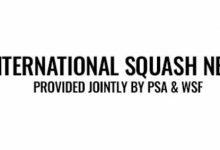 Players from 14 nations will contest the third round of the Men’s World Junior Squash Championship in Ecuador after surviving the opening two rounds of the World Squash Federation event at Quito Tennis & Golf Club in the country’s capital Quito. 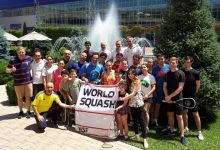 Egypt dominate proceedings with six players through to the last 32, with India and Pakistan represented by four, followed by three from each of USA, England and Mexico. 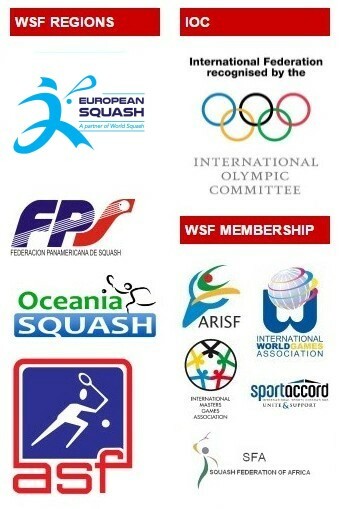 All top 16 seeds survived their early encounters. 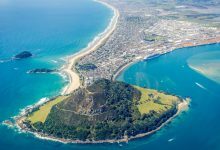 England’s James Earles was the only player to be taken the full distance, before overcoming stubborn resistance from unseeded South African Athan Page. Amr Khaled Khalifa and Ali Farag, the two top seeds from Egypt, enjoyed comfortable straight games second round wins – favourite Khalifa despatching South African Durandt Martin 11-3, 11-2, 11-6 and second seed Farag seeing off Germany’s Sven Lemmermann 11-4, 11-8, 11-4. Damien Volland doubled French interest in the third round after upsetting Sam Fife, a 17/32 seed from Australia, 11-5, 6-11, 11-4, 11-8. Unseeded Mexican Ricardo Lopez Valdiva also recorded a notable upset by beating India’s 17/32 seed Abhishek Pradhan 11-8, 11-7, 11-6. 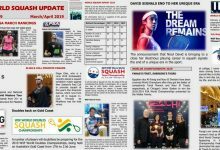 But Karan Malik restored India’s pride later when the 18-year-old from Chennai recovered from a game down to overcome Tom de Mulder, a 17/32 seed from Belgium, 6-11, 11-9, 11-1, 11-5. Ricardo Lopez Valdiva (MEX) bt Declan James (ENG) 11-5 ret.